Itoman’s tug-of war is executing the ritual of praying for a bumper crop harvest, the productiveness of grain and a perfect state of health. Monday, thousands of people will pull the big rope from each side, divided by north and south. The event will tell fortunes through victory or defeat. Michijune the part of the event begins at 2 p.m. Monday. The Tug-of-War itself starts at Itoman Rotary at 5 p.m. The 180-meter-long rope is spread across Itoman Rotary. The big rope weighs ten tons and is made from rice straw. The rope’s length is 180 meters. 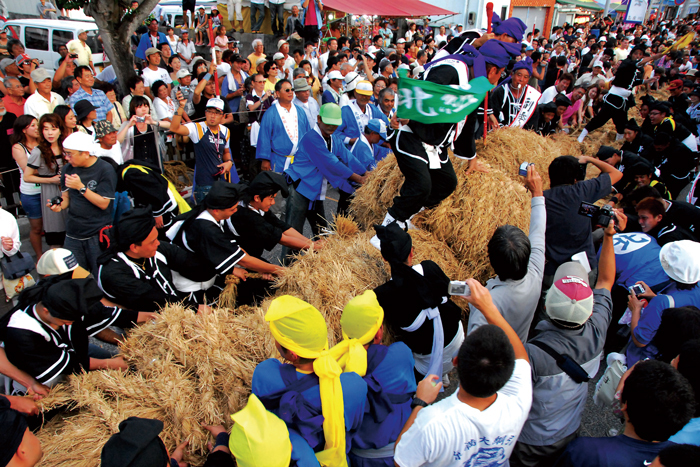 The Itoman’s tug-of war is also known as ‘full moon night’, because it had been held around August 15th on Chinese calendar for ages. During the season, everyone expresses wishes for a good harvest in Japan, as has happened seemingly since near the beginning of times. 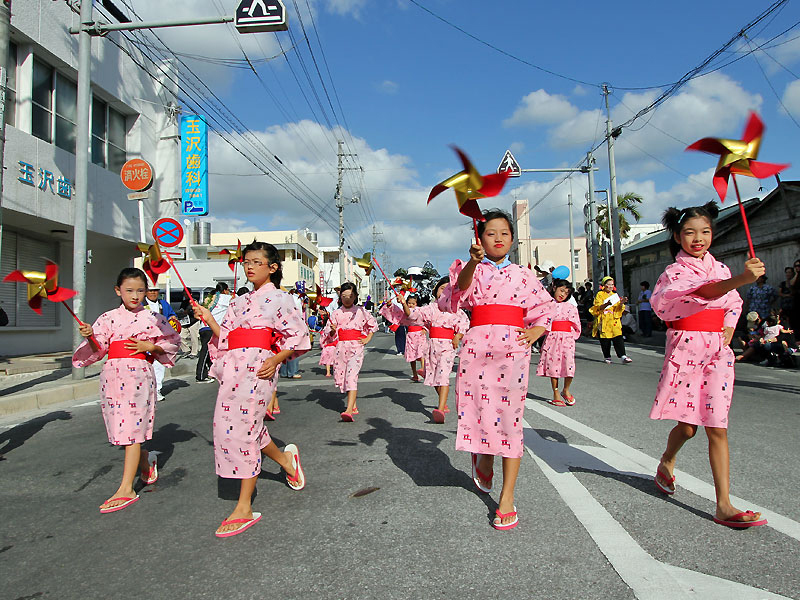 Before the tug-of-war, local people in traditional costumes parade through the streets to Hakugindo.